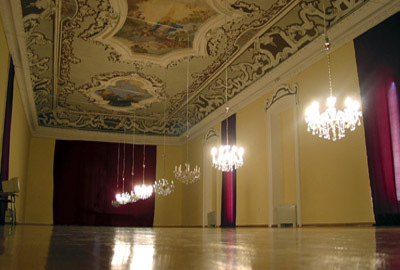 In a large room 8 chandeliers are hung from a ceiling in a single row. The computer encodes the text into binary code. Turning the light on and off 8 chandeliers (as an 8-digit binary sequence) spell binary-coded text. This "light orchestra" is accompanied by the music of famous opera duets.